We’ve come across this project, by Wellington-based students, for a really worthy cause. 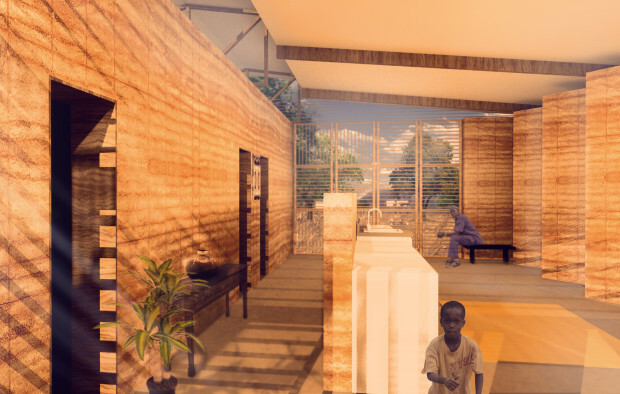 Designing a building in Africa is one thing, and these ex-Victoria students have won a competition to do just that. Now they have to go ahead and build it. And they are raising money to do so – with your help they will get there. We don’t normally do commercial links here at the Fish, but this seems well worth while. I want to see if the Eye of the Fish can help them raise awareness of the project, and also raise a lot of money. The building is relatively simple, but at the same time, sophisticatedly complex. 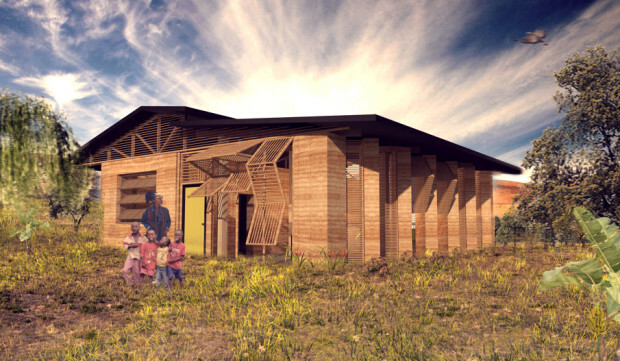 It is composed primarily of local materials: rammed earth, and healthy applications of sweat (no tears, or blood, we hope). But in a point of difference, they are incorporating basic seismic resistance principles they have picked up at Victoria University’s School of Architecture, so the building will stand out as an exemplar to the locals. It is on the slopes of Mt Kilimanjaro after all, so it is in a seismic (ex-volcanic) zone. Added to the mix is a series of folding louvres, so that the walls can admit air and light, in a number of different ways. Judging from their renders on their website, here, the facade should be quite flexible – and break away from the reliance of concrete as a building material. Badly built concrete buildings are everywhere in Africa, and it would be nice if this can break the recent tradition and return to a more ancient tradition of earth building, with massive thermal reserves to help provide cooling. Please feel free to pledge your support to this exciting project! Click right here to go to their fund-raising website. Shift Design are still searching for funds – they’ve just passed the $6,000 mark (hooray!) but they are also holding a cake bake day today – get down to the School of Architecture and buy a muffin, cake, or yummy looking biscuit – all funds go to the Tanzania project.